Ambassy Court consists of three residential towers amidst tree-lined boulevards in the former French Concession area. It was completed in 2001. The tower in the middle offers fully-serviced apartments (105 units in total). A professional management team provides housekeeping services twice a week ($50 per month). Walking distance to Shanghai Library, cafes, international dining, shopping, office buildings and10 minutes walk to metro stop. Service management is professional and English speaking. Area is secure and friendly. Rooms are furnished with western style and Chinese elements. On-site Health club: gym, dance room, squash, basketball court, full-size indoor heated swimming pool, outdoor swimming pool which opens for summer only, SPA , laundry, beauty salon, hair salon, cafe, restaurants, bar, Members has full access to all the facilities. It’s a wonderful place for expats to meet friends, and the same to the expats kids. 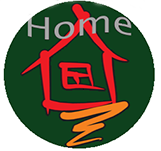 Zhong Hui Garden is an apartment complex located in the heart of the former French Concession area. Consisting of a collection of 7 to 10-story apartments buildings set in a big central garden, Zhong Hui, Apartments are spacious and bright with wooden floors and large balconies overlooking the surrounded greenery. Property is secure and quiet while being sit in the mid of city. 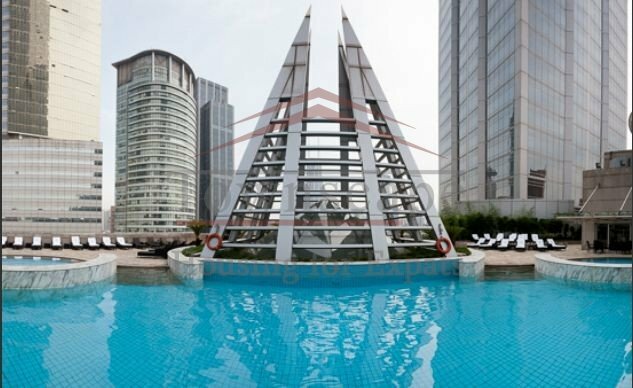 Shanghai Grand Plaza which completed in 1997, is a big residential compound consisting of 8 high-rise (21-storey) and low-rise buildings, offering over 500 apartments, set in a big central garden with a fountain.Upper floors have nice view of the city area. The residents enjoy the complete facilities of the onsite clubhouse with an outdoor and indoor swimming pool, tennis court and gym. The City Apartments was built in 1999,the developer remolded the interior design in 2012. it offers a luxurious and convenient living in downtown Shanghai. The 32-storey apartment building stands on a five-storey podium (health club, business facilities), operated by the adjacent four-star hotel, City Hotel. The property consists of 92 apartment units, eight of which are top-class duplexes. All units has fully floor heating system after renovation, The half open glass door kitchen, designed style light texture are new and excellent quality. Upper floors have great view of the below city area. It has centralized AC system for each unit. The tenants can enjoy the facilities and the clubhouse of the adjacent city hotel at discounted rates. The club house are recently fully upgraded to high level,the swimming pool is built on a top of sixth floor, it makes the glass roof of the swimming pool can be opened when the weather is clear by a remote controller. It’s an excellent combination of both indoor and outdoor pool at the same place. Huashan Garden was built in 1997.It is a 27-storey apartment building offering 100 fully furnished and serviced units with exceptional green garden scenery (there are only four units per floor). Residents also enjoy hotel facilities with business services and a fully-equipped onsite clubhouse with an outdoor swimming pool. The apartments have nice view of the city area from windows and balconies. Complete housekeeping services are provided by a dedicated professional management team. Times Square was built in 2002,It is one of the most famous buildings in Shanghai, featuring its grand office center, 7-storey shopping arcade and luxury apartments. The 26-storey apartment tower with grand 3-storey lobby offers luxuriously furnished apartments with nice layouts and fantastic views of the Huaihai Park. There’s great view of the city area during the day and night with big windows. Units have different layouts with various numbers of bedrooms. Time Square has spent 2years in remolded the whole residential and shopping area and grandly re-open in 2014. All the furnishings and decorations are luxuriously simple and light , kitchen and bathroom are brand new. Rooms are hardwood flooring. Kitchens have high quality appliances. Excellent location suitable for executives with families. Tomorrow Square is a serviced apartment in Shanghai. It was built in 2003,It is one of highest building in Puxi Part of Shanghai, it enjoys good reputation of good service. The property consists of 255 apartment units (ranging from studios to 3-bedroom units). Grand and spacious lobby is bright and clean. These apartments are suitable for those who only demand the best in quality. Materials used on this property are top quality. Just a few steps to offices, various dining, cafes, spas, salons, and metro stop. Full range of hotel-style services are provided, including housekeeping, concierge, 24 hours room service, etc. A small library, spa, and buffet are available. Restaurants are on the 37th to 39th floors and you can enjoy an exceptional view of the city. It has both indoor and outdoor swimming pool, the outdoor swimming pool is open for the summer only. Fairlake Community offers Spanish-style villa units. It was built in 2003. The community features a beautiful lake and is surrounded by large green areas, small bridges and fountains. All units come with spacious rooms and a large garage. Top-class decorations and furnishing styles are available. Property is surrounded by tall trees and lush bushes. Passengers can only see the high wall and nice gate from outside. Streets are wide and quiet. It’s a low rise complex with elevator even it’s only 3 stories. The open terrace, nice view of the garden is the feature of Fairlake community. There’s outdoor and indoor pool available in this complex. Green Valley Villas was built in 1992,it is a well-established large compound comprising 180 units of newly refurbished villas and apartments in lush green surroundings. It is the earliest villa compound built by the Chinese government. It’s extensive and well maintained gardens ensure tranquil living and the apartment units offer well kept decorations and facilities. This villa compound attracts a lot of western expats families,esp with kids. There’s easy access to international schools, like SCIS, Yewchung, Britanica and Willington. Services provided to residents include 24-hour reception, housekeeping service, laundry, etc. King’s Garden was built in 2002.It is an extensive and well-designed compound with a peaceful central garden. It consists of three 6-storey buildings offering apartments upstairs and 3-storey townhouses with private gardens downstairs. One 9-storey building offers spacious duplex apartments. Each of the 60 apartments features duplex or triplex layout and outdoor space with garden areas or balconies, terraces. Trees surround the area. Property is quiet and secure. There’s an outdoor swimming pool facility in the complex. Please consult the management team with regard to when it’s opened. Yanlord Riverside Garden was built in 2004.The property occupies a total area of 129,800 sqm, which with 60% green area. It offers over 200 units in 14 high-rise apartment buildings in 3 phases. All units are fully furnished with French windows, central air-conditioning and large balconies.the units in phase 3 are decorated with full floor heating system. The Large courtyard area is enjoyed by children and adults. Trees, pond, bushes, and flowers make the property a harmonious and natural environment to live in. View from balcony and windows overlook the courtyard and majestic city views. Underground parking space is also provided.The driving range is designed around the complex,tthus keep all the gardens, play grounds are no risk with car driving. The property was built in 2004.The property occupies a total area of 110,000 sqm, which with 50% green area. Large courtyard area is enjoyed by children and adults. Trees, pond, bushes, and flowers make the property a harmonious and natural environment to live in. View from balcony and windows overlook the courtyard and majestic city views. Parking space is also provided. Both indoor and outdoor pool are available.